Man Finds Fossilized Bigfoot Skull! Ogden Canyon, Utah is a fortuitous place for Todd May. The retired private investigator encountered ape-like creatures on two different occasions in this rocky landscape, and collected a bizarre relic—a supposed skull— that might prove the creatures’ existence in the area for thousands of years. What did Todd May Find? In 2011 Todd witnessed a black, silky-haired biped walking among the bushes around the mouth of the canyon. He was “kicked back, enjoying the hot springs” of the dark, scenic venue when a shadowy being emerged from the foliage. He instinctively thought the creature was a gorilla, but quickly realized it may very well be something completely different: Sasquatch. Todd was electrified by the encounter. He began habitual hikes through the canyon to search for evidence. Two years later on a fossil/evidence mission, he noticed something peculiar in the sand and unearthed a bizarre bowling ball-sized rock. With a desperate glare he flipped the rock over to reveal a face all its own staring right back at him. What does the Skull Look Like? This potential Bigfoot skull is quite massive, tipping in at 70 pounds. The forehead is broad and pronounced and the nose is wide and flat. Something of a jawline appears at the bottom of the Bigfoot skull, but is ambiguous and lumpy. It kind of looks like someone ran over Kirk Douglas's face with a steamroller. Todd is particularly vexed by the face, as it strongly resembles the same creature he witnessed before the find. Shortly after the discovery he experienced another encounter with a similar looking creature. Todd believes that this is no doubt a petrified Bigfoot skull. Petrification occurs when organic material converts into minerals over time. There are several different kinds of petrification. Petrified wood and dinosaur bones typically harden via a type of petrification called permineralization. We should assume that Todd's Bigfoot skull was also transformed by this lengthy process. If Todd's discovery is real, mineral deposits filled the pores of the dead Bigfoot via water and formed an internal crystal cast of the head. Hardened material replaces organic tissue until the core space, or lumen, is fully crystallized. Unfortunately, Todd’s find resembles more of a head than a skull. A head, complete with nose, eyelids, and mouth, would not survive petrification. If it were a true skull, cavities for the eye sockets, mouth, and nose would be found. 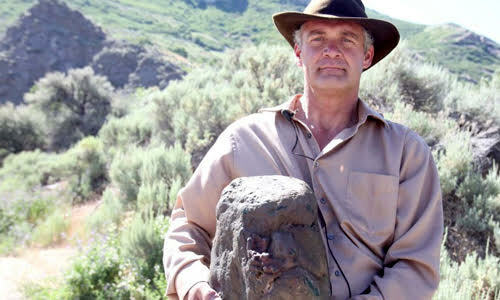 Paleontologist and director/curator of paleontology at Utah State University's Eastern Prehistoric Museum Kenneth Carpenter believes the Bigfoot skull is nothing more than a uniquely weathered rock. Though somewhat captivating, he believes that many important features are absent from the rock that would help him believe it was actually a skull. According to Carpenter, "the object looks more like a head than a skull. When a human head starts to decompose, the first areas to go are those soft tissue high in water, namely the eyes. Thus, even if the eyelids are closed, the eye socket is seen as a collapse of the eyelid into the socket." The lack of definition and structure in the amorphous Bigfoot skull are also red flags. "Bone when it fossilizes still retains its structure, even at the microscopic level. ... IF this were a fossilized skull, then knocking a chip off should reveal bone structure inside." As it goes, one of the most common practices a geologist performs regularly is informing overzealous fossil-hunters that the moon rock or Bigfoot skull they are holding is nothing more than an odd lump of whatever. Typically, there is always a dull way to explain the perceived 'exotic' find. Todd’s discovery is likely rooted in pareidolia. The most likely explanation you'll hear from not only dream-crushing geologists, but practically anyone, is that Todd created Bigfoot in the large rock. Pareidolia, or matrixing is a phenomena of the brain where we pick common shapes out of complex patterns or backgrounds. This commonly occurs with the human face. When we are infants, our developing brain is especially stimulated by a human visage. It is one of the most common and interesting visuals thrust before our eyes. Growing up, we are subconsciously conditioned to search for faces. Trees in the forest, clouds in the sky, and rocks in the earth all naturally feature the alignment of two eyes, a nose, and a mouth. No doubt people have found "Bigfoot skulls" for centuries. Todd's skull is only brought to our attention because of his unwavering insistence that he uncovered the real deal. 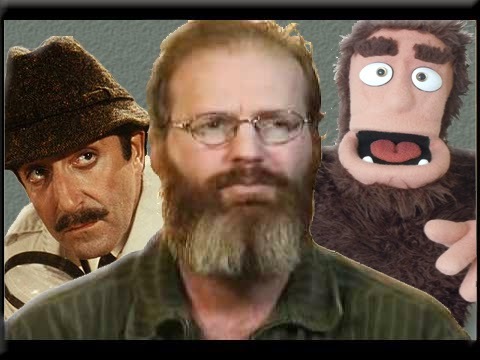 Met with criticism over his strong conviction, Todd dismisses the cynics, proclaiming "there's haters out there, [and] other Bigfoot enthusiasts that don't like that I found something first." Pareidolia is basically the entire ‘blobsquatch’ phenomenon in one blurry bucket. It is merely Sasquatch enthusiasts applying Sasquatch features onto pixelated forest photographs. We all see what we want to see. Todd, a man who has seen Bigfoot on two separate occasions, and is otherwise wound up by Bigfoot, likely craved that rush again. He projected that ape-like face upon the perfect rock in what he considered to be the perfect spot to find Bigfoot fossils. "How Things Become Petrified." Today I Found Out. N.p., 14 May 2012. Saal, Mark. "Man Believes He Found Fossilized Bigfoot Head." Standard-Examiner. N.p., 6 Mar. 2014. 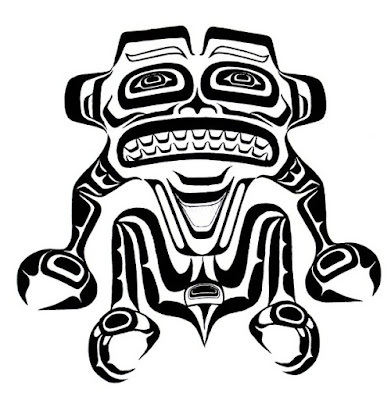 The Tsiatko, or Stick Indians as they are more commonly known, is a Native American story I find interesting because of the descriptions they give of these beings. Are they bigfoot, or are they something else entirely? Notice the similarities the Tsiatko have to what we commonly call bigfoot. If the Tsiatko are in fact the same thing we call bigfoot, then it is painfully obvious the Native Americans knew about these creatures long before any white person reported seeing one, and based on their descriptions they have noticed some of the same things bigfoot researchers have experienced in the field. Newly Released Unedited Complete Footage Of The Patterson Film! Steven Streufert, owner of Bigfoot Books and member of the Bluff Creek Project, just posted this rarely seen unedited footage of the Patterson Film. This is the complete film roll Roger Patterson had in his camera on the day he captured the most famous footage in bigfoot history. The footage has been stabilized and color enhanced, but otherwise is untouched. Most people have never seen this footage before.